Chances are, all of you have heard of the Paleo Diet. Some of you have tried it, some of you kind of know what it’s about but not completely and others are just hearing about it now for the first time. The first thing I have learned and come to realize from working with Arsy is that Paleo is not just a diet, it is a lifestyle, a way of living that most would say has made major improvements in a lot of areas in their lives. It’s enticing to be inspired by feeding your body real food and I’m already on board to give it a shot! 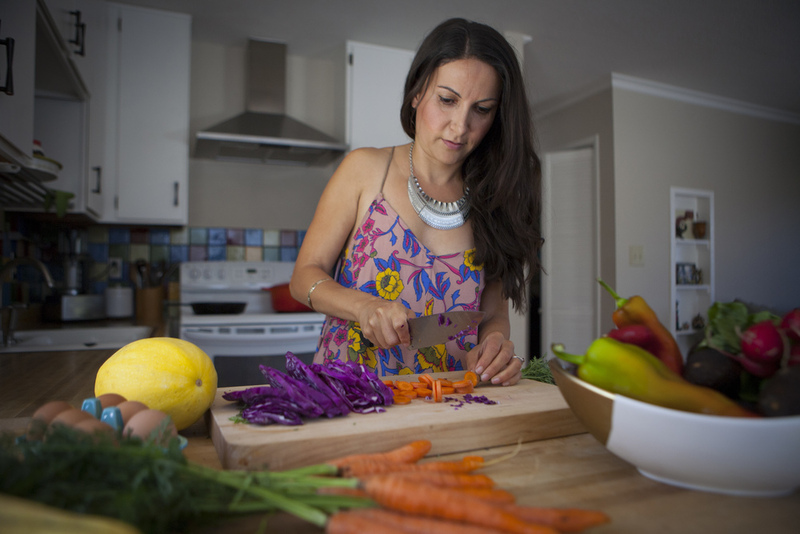 Throughout all of November we will help you learn all you can from one of the experts herself; Arsy Vartanian, founder of one of the top ten Paleo Blogs, Rubies and Radishes and Author of two very successful cookbooks; The Paleo Slow Cooker and The Paleo Foodie Cookbook. This California native will give you a deeper look at some tips, tools and recipes you can take with you into your holiday planning this month. Stay tuned for a fun cookbook giveaway as well! I’m thrilled to be here this month to show you how adapting a lifestyle based on real-food can be a complete game changer! I am not your typical health-nut. I don’t run 5 miles a day, I don’t obsess over what I am going to eat and I love catching up with my girlfriends over a good margarita. In fact, I eat what I want, how much I want and work out only a few times a week. I am here to show you that this lifestyle will not only get you results, but it’s doable and fun! I honestly wasn’t always this way. I spent much of my twenties, obsessing over counting calories, losing those last 5 lbs., over-indulging all too often and then spending the next day or two regretting the 5 slices (and no, that is not an over exaggeration!) of pizza I ate. That was on top of the bloating and food coma. Do you relate? Much of this for me, had to do with the misinformation about healthy living. I had a deep desire to be healthy. I was following all of the mainstream advice and doing all of the “right” things – avoiding meat, filling up on whole wheat carbs, doing extensive cardio. When all the right things wouldn’t work, I would give-up, over-indulge, feel guilty, get back on the wagon, repeat. It wasn’t until I learned about the Paleo diet, that I had an “aha” moment. Eating healthy shouldn’t be so difficult. In the most primitive sense, we are animals and we should know what is optimal for our bodies. We (including myself) have become so confused with all the marketing hype - “low-fat”, “no-sugar”, “low-carb”, etc., - that we have lost touch with what it is that our bodies truly need to thrive. When I realized that humans have eaten a diet of meat, vegetables, nuts, seeds, fruits and healthy fats for much of our history and haven’t struggled with the health concerns that we struggle with today, I knew the only answer to regaining my health was tossing all of the packaged, low fat, 100-calorie pack foods in my cupboards and going back to the basics of whole, unprocessed foods. And it worked. I experienced results almost immediately. Well, after the first two weeks of constantly craving all of my old favorites. After that, I felt so good – full of energy, clear skin and no more bloating. I haven’t looked back since. The increased energy, better workouts, the flat stomach and finally losing those last 5 lbs. have been nice. But the top benefit of adapting a Paleo diet for me has been the freedom I feel – the freedom to say no to the cookies at a friends house because I genuinely don’t crave them, the freedom to eat healthy whole-foods like grass-fed butter and still look my best and the freedom to say yes to the ice-cream on occasion without feeling guilty about it..
No longer obsessing over food and calories has freed up space in my life, to enjoy this epic California beach life – relaxing in the sun, hiking in the Santa Cruz Mountains and hosting dinner parties with delicious, healthy food, while I constantly hear “I can’t believe this is Paleo!”. Paleo isn’t just about what we eat, but it’s about how we live. A healthy life should be full of organic, nourishing food, time with friends and family, sunshine and being active outdoors! I want to invite you to join me this month in ditching the packaged foods and taking charge of your health by embracing a lifestyle of real food! I’ll be sharing tips and tricks with you all month to support you along the way! Images by Chris Parker for Established California.